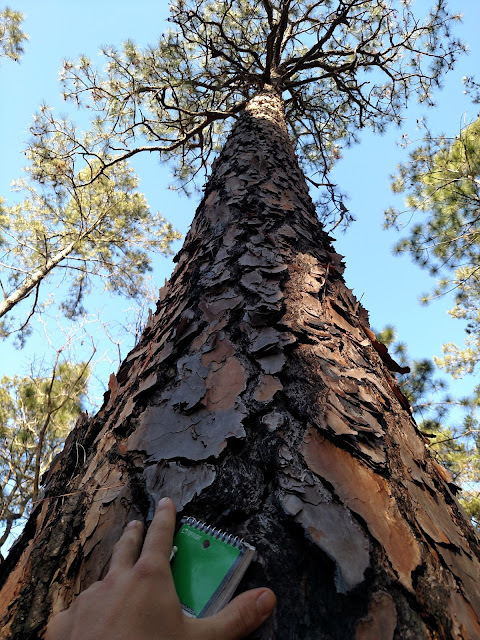 After two months exploring the pinelands of Louisiana and Texas, looking for the few remaining longleafs of age, and becoming increasingly enamored with these pillars of the southern pine ecosystem, I've finally found an opportunity to plant some—a volunteer event at Big Thicket National Preserve (BTNP). 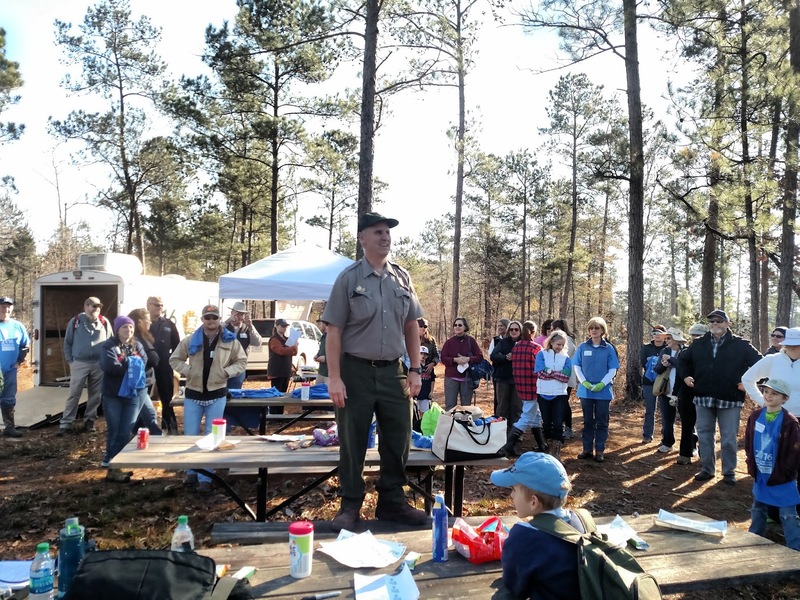 Volunteers equip themselves with seedling bags and dibble bars. 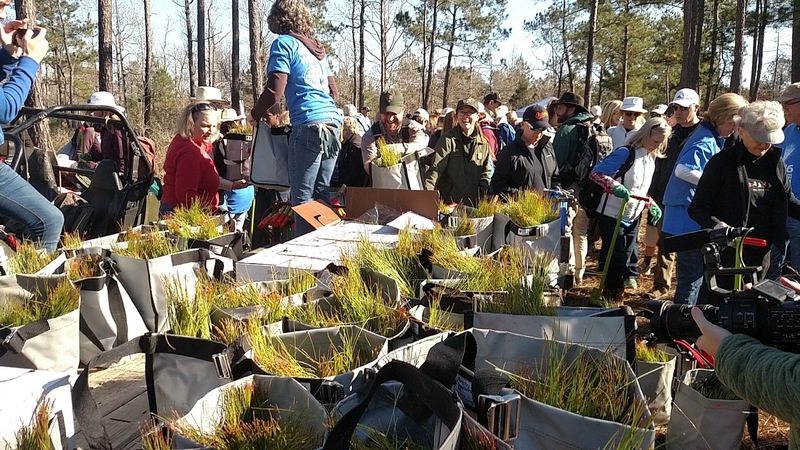 On January 18th—and five other weekends this winter—volunteers gathered to plant longleaf seedlings in the Big Sandy Creek Unit of BTNP. 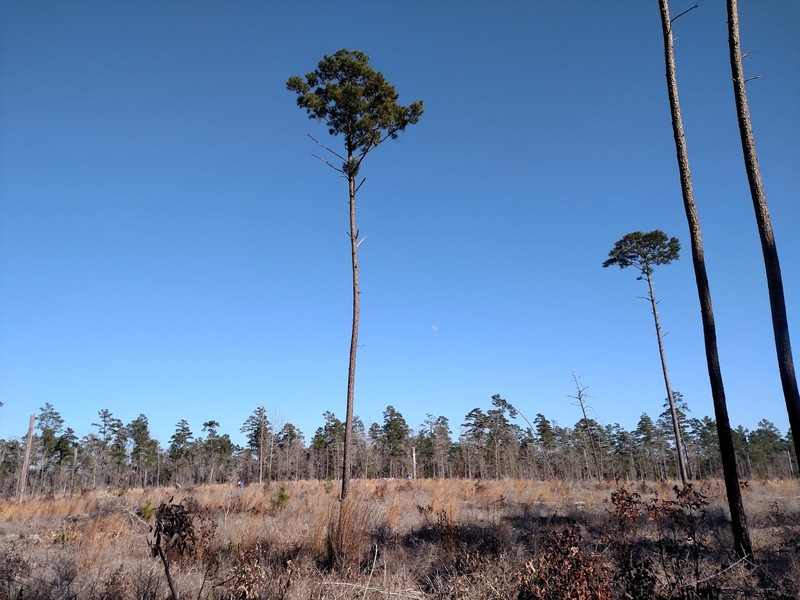 The project is called the "Centennial Forest" because the National Park Service was founded 100 years ago, and because this longleaf forest will mature 100 years from now. 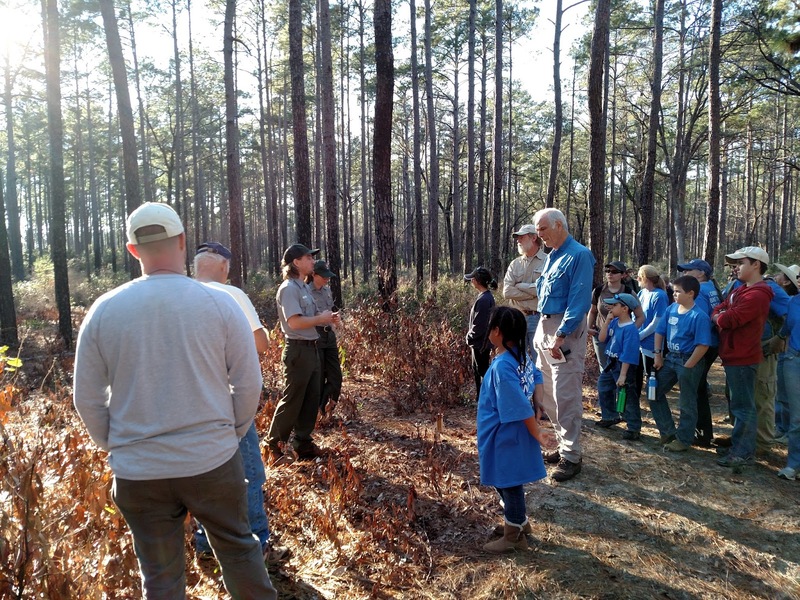 "It'll be an incredible forest when we get this done," said Ranger Ken Hyde, that "youngsters will see come into its own." Planting longleafs was a worthwhile experience. 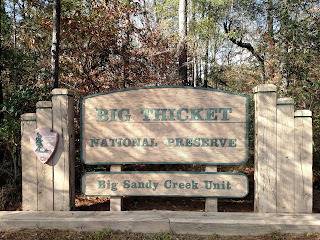 The work was rewarding, the weather was fair and the folks were friendly. Most of all, it was a valuable lesson in reforestation, from site prep to seedling propagation and forest succession. 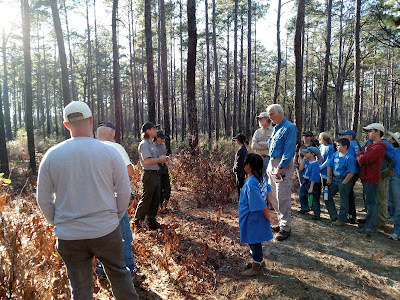 Six years ago longleaf planting began with 20 volunteers and 3,000 seedlings. 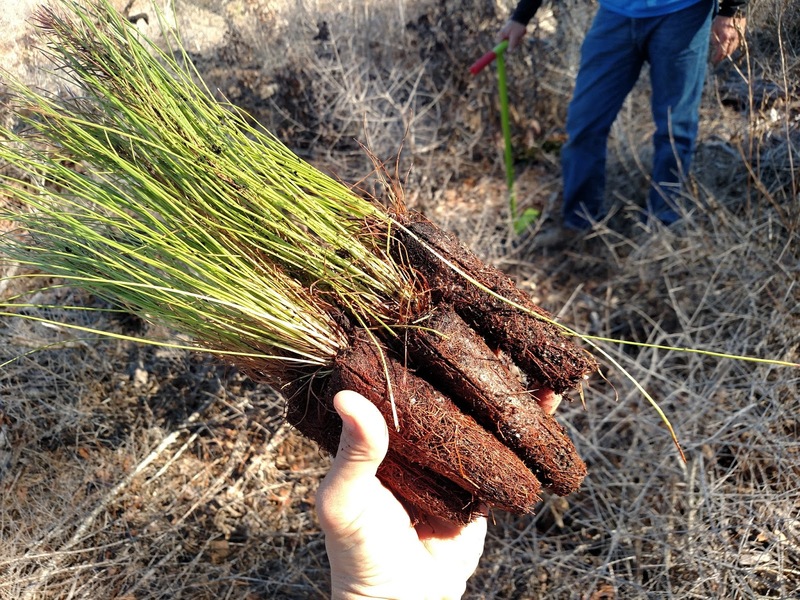 This year 100,000 seedlings will be planted over two months of events. 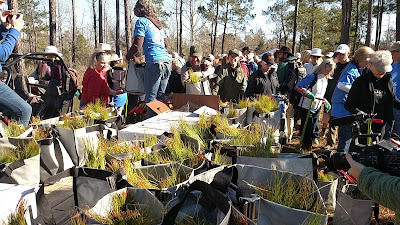 That day (1-18-2016) we had 70 volunteers and hoped to plant 14,000 seedlings. Next, we broke into smaller groups for instructions on safety, dibble bars and seedlings (see video below). 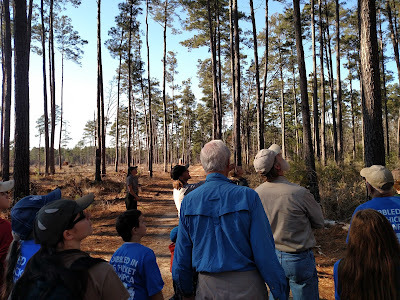 The day's planting site was about 20 acres of ruin, the skeleton of a former forest. 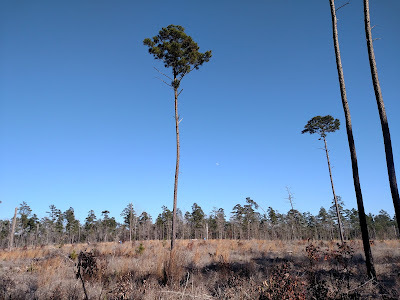 Pine beetles (1990's), hurricanes Rita (2005) and Ike (2008), and severe drought (2011) were a lethal combination for the loblolly and shortleaf pines that once covered the site. Now they're mostly mulch and rotting logs. 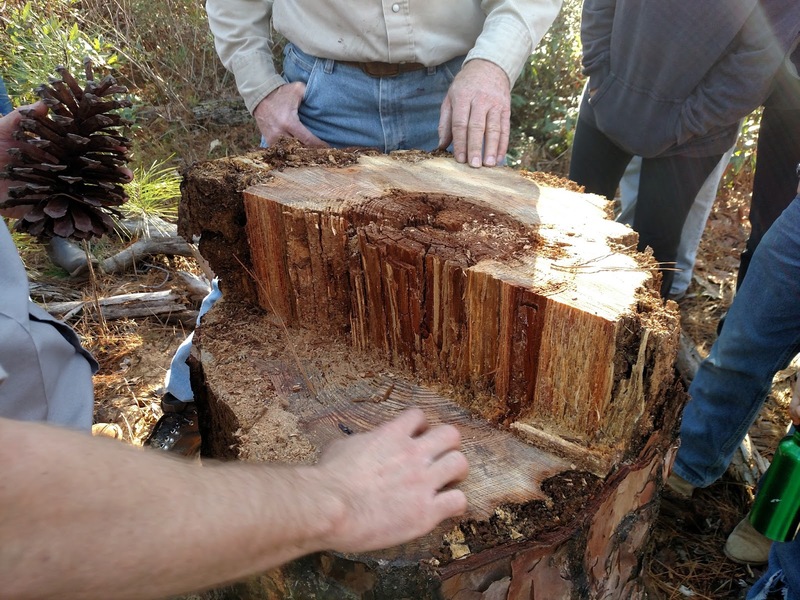 Decomposition will build soil and fertility for our longleafs, whose deeper roots and tougher wood will be more tolerant of future disturbances. Few shortleafs and loblollies remain on an otherwise barren landscape. 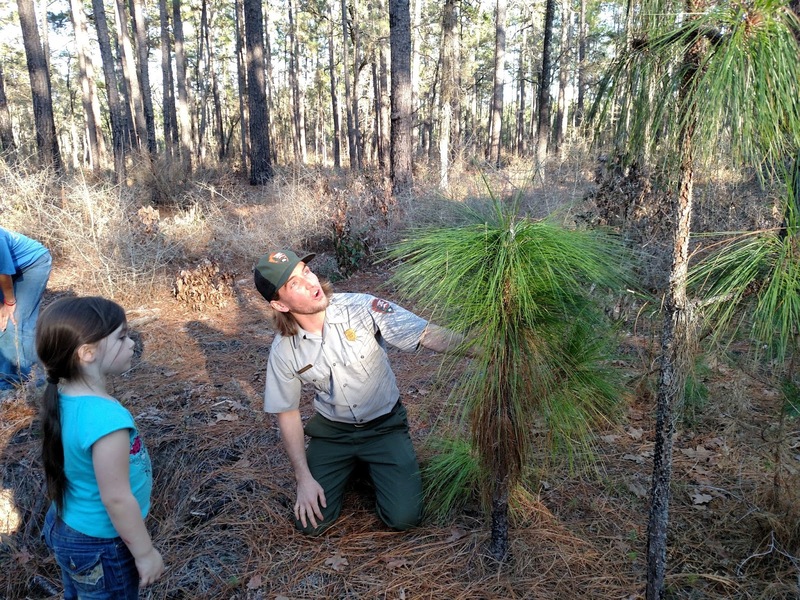 NPS rangers also prepared the site for planting. A mulcher machine grinded down the existing vegetation (known as mastication). 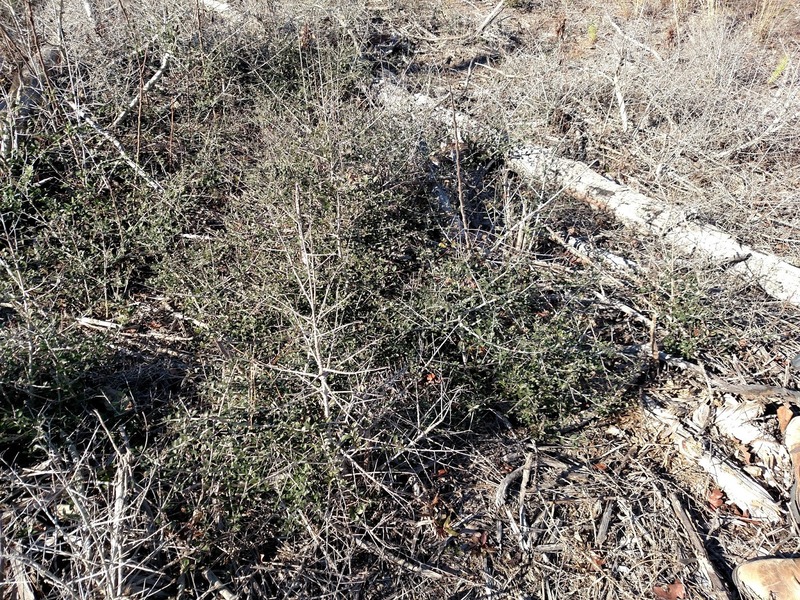 An herbicide treatment further suppressed vegetation, namely yaupon holly, improving access for planters and reducing competition for longleaf seedlings. 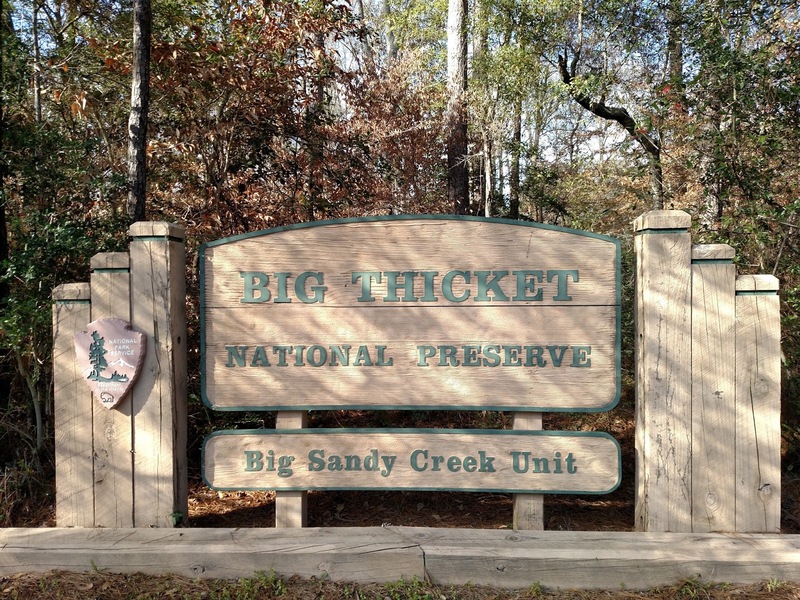 Prescribed burns were also intended for the previous year but weather was uncooperative. 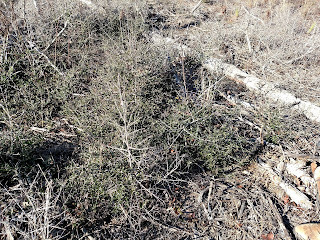 A patch of yaupon holly that survived the herbicide. Spacing: every 5' and about 500-700 per acre. 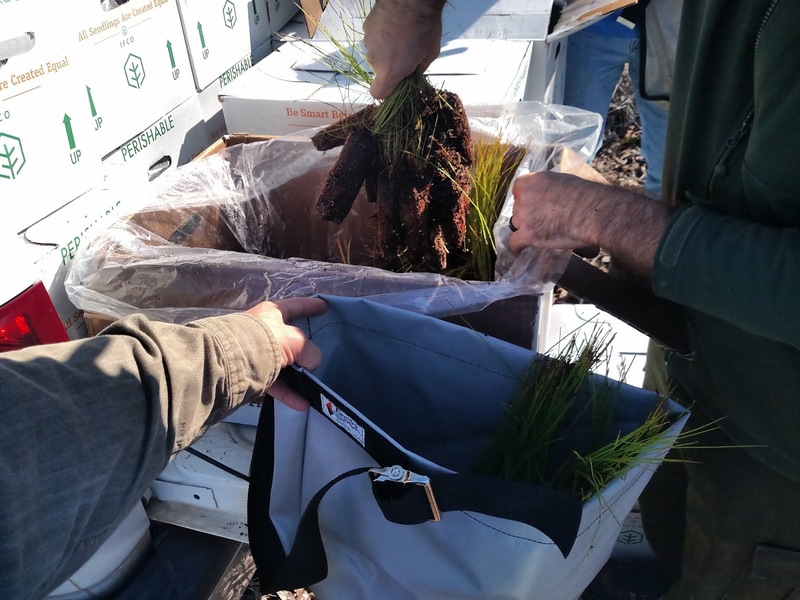 Source: local seeds gathered by private company, who grows them in Georgia then ships them back for transplant. Survival rate: 50% after first year. My teammate Tommy and I took turns between dibble bar and seedling bag. We planted seven bag loads in all, an estimated 560 trees. Not bad for a day's work! Overall the day's tally was 12,500 seedlings, thoroughly covering the 20 acre planting site. 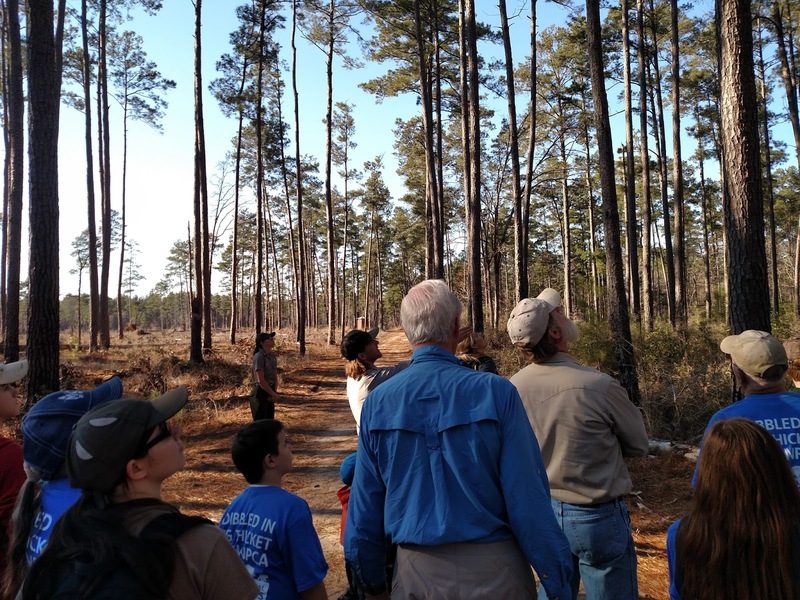 After planting we toured a nearby forest to learn more about longleaf, and to see what our seedlings will hopefully become in 100 years. The growth stages of longleaf, from cone, to grass, to bottlebrush, to sapling, to mature. The various management techniques, such as herbicides, mastication and prescribed burns. 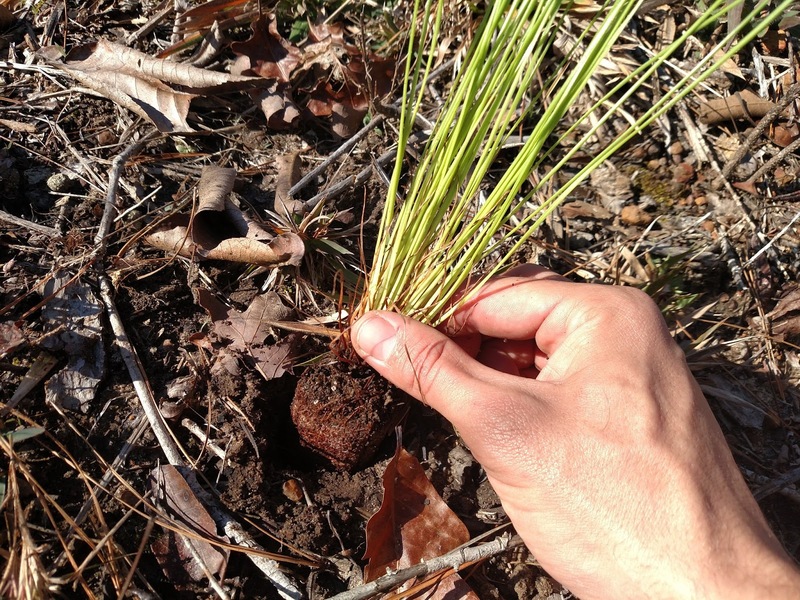 The goal is to reduce competition from shrubby species and encourage longleaf regeneration. 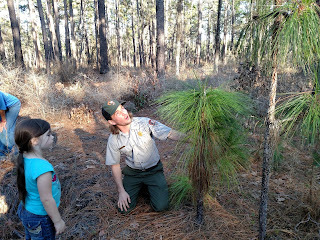 Ranger Max explaining stages of longleaf growth.